Five albums in to his career, Ne-Yo has dropped hit after hit of pop R&B gold. His newest venture, though, mixes things up a bit. Rather than a traditional guest spot, his just-released new song "It's All Good" is a team-up with British pop sensation and ex-X Factor contestant Cher Lloyd. Sponsored by Fruttare Fruit Bars, the song sees Ne-Yo and Cher bringing their differing music sensibilities together for a slick piece of radio-friendly pop. (The song itself has surprisingly little to do with popsicles.) To get inspiration, the two singers incorporated ideas that were crowd-sourced and shared over social media. According to Fruttare, "Fans contributed to the song writing process by sharing what keeps them looking on the bright side using the hashtag #itsallgood." 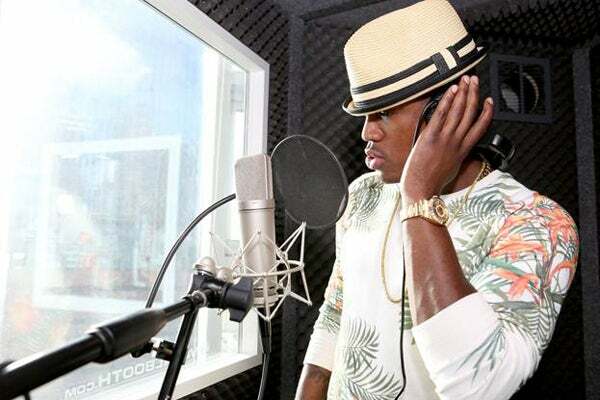 We caught up with Ne-Yo to talk about his collaboration with Lloyd, teaming up with DJ Felli Fel once again, and being a positive person in general — all in 60 seconds. You can check out the track over at Fruttare's Facebook page. So, tell us about working with Cher. How much did you know about her before you got in the studio? "I knew a little bit about Cher Lloyd, but only a little bit. I thought it would be pretty easy and it was. She's a great talent and a good person, on top of everything else, and good people are few and far between. She's kind of 'all killer, no filler,' you know what I mean? She is who she is and she makes no apologies for it. She doesn't try to put on this false face. She's just Cher. That's a beautiful thing." The song is called "It's All Good," and your last album had the title R.E.D. (Realizing Every Dream). It seems like you're a pretty upbeat guy. "I'm a fairly positive person as is. I'm an optimist to my core. My glass is always half full. It's not really a task or a chore to put positivity into music, in that I live my life looking on the bright side." How did you wind up hooking up with DJ Felli Fel again for "Reason to Hate." "Well I've known Felli for a little while. He was one of the first DJs to show me love, and we just kept connection and kept that relationship going. On his previous album, I did a song called 'Finer Things Than Me.' It was me, Jermaine Dupri, Kanye West, and [Fabolous]. He's like 'Yo, let's do it again. I'd love for you to be a part of it.' So, I wrote the hook. He went and got Whiz and Tyga. Tyga, I had met in passing, Wiz the same thing. The rest is history. I think it came out pretty fly." What's coming up for the rest of the summer? "Definitely touring, about to start recording my sixth album in a minute. Getting my mind ready for whatever that is, figuring out exactly what it is I want to say my sixth time out. Just keeping busy. Still got a bunch of artists over here doing artist development on. As much as you can for as long as you can, that's my motto." After collaborating with Cher, do you think you'll continue working with artists outside the hip-hop/R&B scene? "Well I kind of pride myself on being able to ride with just about anybody. On my album that's out right now, I have a song with Tim McGraw. I feel like, at the end of the day, as long as it's good music, it doesn't matter what genre, what style it is. As long as it's good. From rock music to country music to pop music to death metal whatever — I don't care, as long as you're down to make something good."